Beat an egg in a small bowl and apply the smooth yet sticky liquid to your face evenly. Let it dry. After 15 to 20 minutes, wash off with lukewarm water. This works as a natural toner, thereby giving your skin tightness and a fresh look. Crack open an egg and separate its white portion from its yolk. Now, cleanse your face thoroughly and apply the egg white all over it either using your fingertips or with the help of a cotton ball. Allow it to dry for 10 to 15 minutes. Then, rinse with lukewarm water. This mask boosts blood flow throughout the skin, tightens it up and eliminates wrinkles as well as fine lines. Take the yolk of the egg apart from its white portion. Pour 1 teaspoon of fresh, raw organic honey to it and mix well to get a sticky paste of medium consistency. Apply all over your face and neck. Leave for 15 minutes or so. Then, wash away with plain cold water. It hydrates dry skin profoundly and heals sunburns in an efficient manner. Take some fuller’s earth and add an egg white to it. Blend them together so that a smooth nice mixture is formed. Make sure that it doesn’t hold any lump. Also, add a few drops of rose water, if it gets too thick. Applying this pack on your face twice weekly will help you prevent oily skin followed by other issues like acne, pimples and other ugly breakouts. 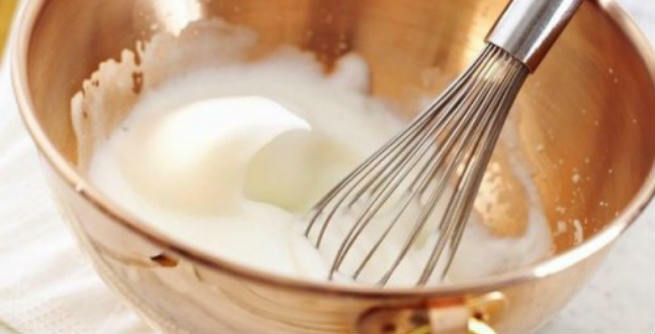 Beat a whole egg in a bowl and whisk it to make smooth and a little foamy. Add oatmeal to it and combine well. Spread the mixture onto your skin and wait for 15 to 20 minutes. Then, rinse off the dried mixture with cold water to reveal a fresh, supple skin free of blemishes and dead cells. Grate a small carrot finely. Add one egg white and some fresh raw milk to it. Mix thoroughly to get an uneven paste. Apply onto your skin and wait for next 20 to 25 minutes. Then, rinse away. This is an excellent anti-aging face mask that can turn your skin firmer as well as youthful. Take an egg white in a mixing bowl. Beat it slightly. Now, pour virgin coconut oil and raw, organic honey each 1 tablespoon into the egg white. Stir with a spoon to mix well. Apply all over your skin and let it sit for half an hour. Finally, wash with cold water. This mask will make your skin softer, firmer and brighter easily. This amazing face pack will give your skin a perfect beauty boost and that too naturally. All you need to do is whisk an egg in a bowl, mix some plain yogurt, raw honey and fresh lemon juice with it and mix well. Apply it onto your skin at least once every week to get a soft, glowing and flawless skin.